Luciano Di Genova is from Italy and has been involved in martial arts for over 30 years since taking up boxing at the age of 10. Since that time Mr. Di Genova has participated in a number of martial arts prior to Krav Maga. The main focus being KickBoxing over a period of ten years, competing extensively and winning professional All-World titles. Mr. Di Genova received his 5rd Dan Black Belt and official Representative of Bukan in 2008 from Yaron Lichtenstein - President Bukan School International of Krav Maga, 4rd Dan Black Belt in 2005, 3rd Dan Black Belt in 2003, 2nd Dan Black Belt in 2001, and his 1st Dan Black Belt in 1996 .He currently teaches at Krav Magen in Italy. His interests include freestyle sparring which he enthusiastically pursues using his eclectic martial arts background to adapt to any given situation. Mr. Di Genova also teaches classes specializing in chokes, strangles, arm locks and groundwork, drawing on elements from both his Krav Maga and Krav Magen backgrounds. Mr. Di Genova was a founding member of The European Federation of Krav Magen Instructors, a not-for-profit organization created to promote Krav Maga - Krav Magen and to provide Self- Defense training for the general community. As a Member of theIACPS #7005 (Counterterrorism) - ICTOA #447 (Counterterrorism) -NRA #156100885 (National Rifle Association) - CEI #12455 (Intelligence) -SWAT #N236724v (Special Units) -SPI #94771 (Security Service) - IFPO #i5231-08 (Security Professional) - IASP #109 (Security Professional). Grandmaster Yaron Lichtenstein called a crazy old man and a liar. Knowing even a bit about Yaron should put these people to shame. Yaron looked at Imi as a father figure. His respect and reverence for Imi is apparent every time I talk with him. He retired to Brazil years ago and was done with Krav Maga completely until his son told him that if he didn’t keep Imi’s Krav Maga alive it would die because he is the only one who teaches it the way Imi wanted it taught. He does what he does only for Imi’s memory. He is one of the few not teaching for the money. I know that he has gone to other countries to teach seminars and upon seeing the conditions people were living in refused any payment. I have also heard people go on about his videos and how bad he looks as if he couldn’t possibly be the real deal. Part of this is hands are down, not turning into punches, etc. that he does on purpose as talked about above. Part of this is he is in his 60’s for crying out loud. The only videos I ever saw of Imi doing Krav were taken when he was in his last years. He looked slow and not too sharp. Should I think he isn’t the real deal because he was older and didn’t look good…he was the creator!! I may be quicker and sharper looking than Yaron but I wouldn’t mess with him. He was a war hero who was shot many times and taken prisoner for months in the Yom Kippur war (this can be proven, unlike many in Krav Maga who were proven to be liars when they talked about their military record). This man has taken lives with his bare hands in his military days…more than once. Again, I wouldn’t mess with him! BTW, Yaron is the only one who had been invited to teach Krav Maga for Wingate in Israel (others merely rent out Wingate facilities). NOBODY other than Yaron is teaching Imi’s Krav Maga. All those running around in their camo’s and claiming to be THE authority on Krav Maga are teaching military self defense techniques. 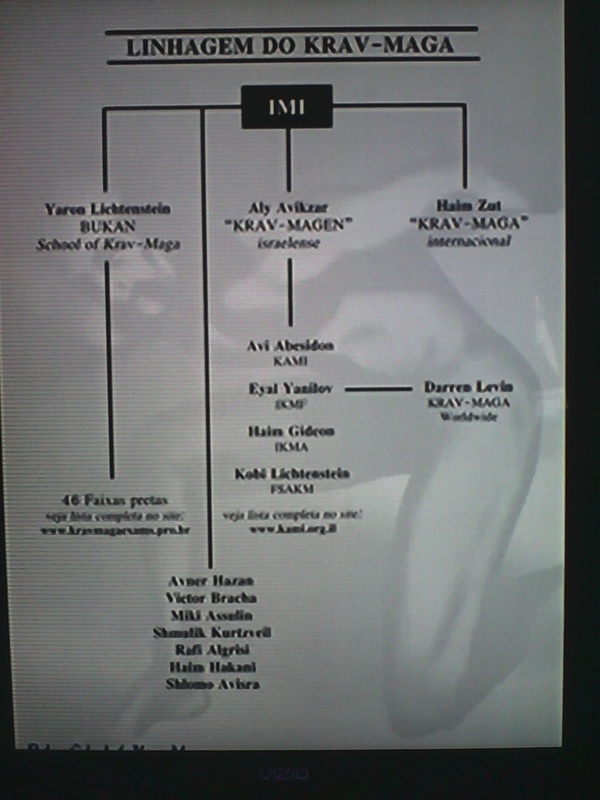 Krav Maga, the way Imi intended it to be, is a martial art that only Bukan (Yaron’s school name) is teaching. Period. This is why you will hear that what I am teaching EKMF from now on out of respect for both Imi and Yaron.